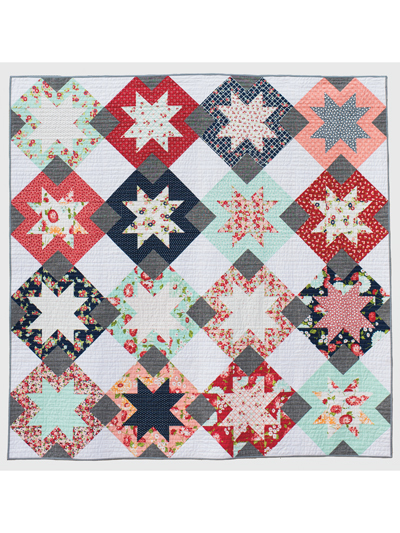 Bring the classic star to life with any colorway you choose! 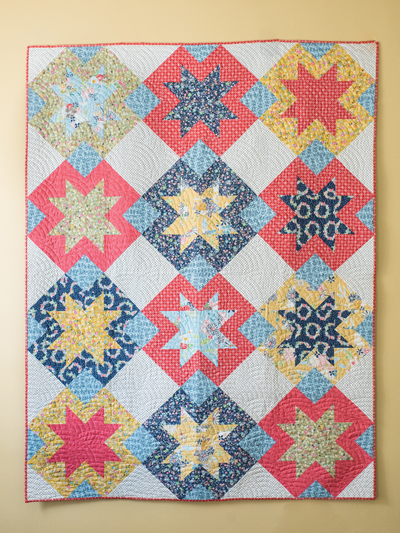 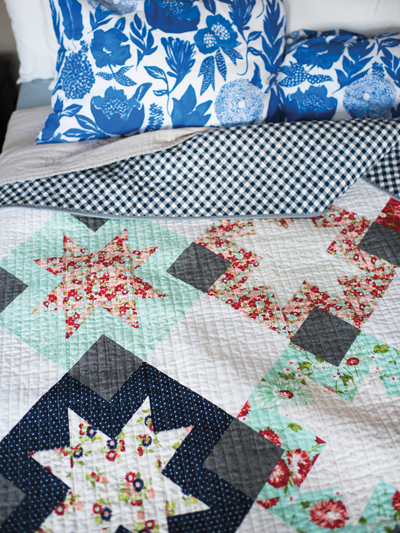 North Star adds a modern twist to the traditional star quilt. 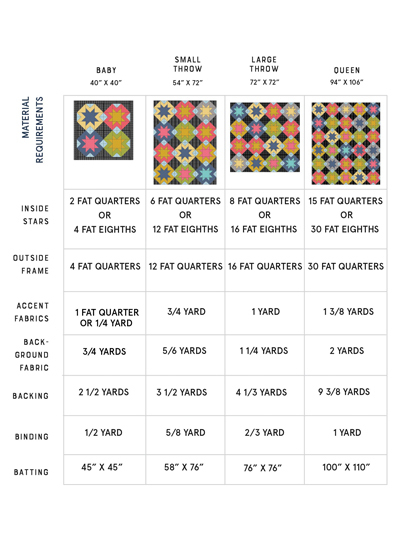 Pattern includes instructions for easy piecing, and the design is fat quarter-friendly! 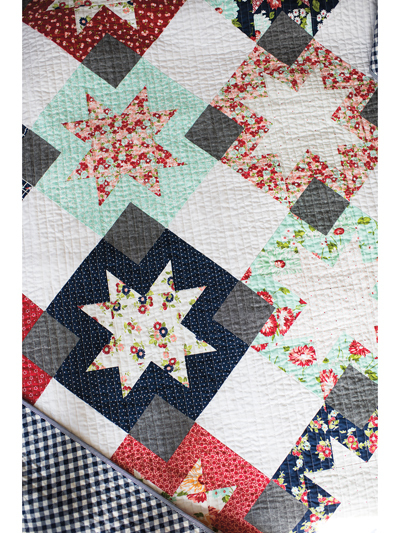 Finished sizes: baby: 40" x 40", small throw: 54" x 72", large throw: 72" x 72", queen: 94" x 106".